As much as you and Tesla would like it to be, a new Tesla is not an appreciating asset. As with any car, it will sink in value the moment you sign the papers. Yesterday, during the Lex Fridman Podcast, Elon Musk made what I believe to be one of the most ridiculous statements made by the Tesla CEO thus far. The fact that a Tesla is an appreciating asset is simply… not a fact. While Teslas do actually retain some of the highest resell value in the industry, there is close to no chance they will move above what you paid — not unless something drastic happens. Some Tesla Model 3 owners bent this rule and struct gold with their early adoption. They were able to sell their used cars for a profit but that was only due to timing. In the early days, Tesla could not keep up with demand so many were left patiently waiting months for their new electric car. As is with every tech product, the impatient come in willing to pay a premium to get their Tesla Model 3 faster. The same trend exists with Apple’s iPhones and all other tech companies every single year. Once supply catches up to demand, values start to depreciate. Still, the Model 3 retained some of the best value ever before seen. Even the Model S and X hold the lowest in-class depreciation according to some, but these numbers will continue to decline as your vehicle ages. Your battery will degrade, your maintenance costs will go up, and your resell value will sink. There are just a few ways your vehicle will appreciate and a Tesla Network is not one. The Tesla Network is Tesla’s solution to autonomous ride-sharing. Once their cars are able to achieve full self-driving, Tesla wants to allow owners to turn an income by signing their cars up through the Tesla Network. These cars will leave your driveway and pickup those in need of the service with absolutely no one behind the wheel. While that sounds awesome and I hope to one day see it happen, this will have no long term affect on resell value. Tesla is not going to stop producing cars. There are around half a million Teslas on the road today that are, what Tesla themselves claim to be, full self-driving capable. There will be no long term shortage of self-driving Teslas. If Tesla hits their stated goals, in approximately three years there will be more full self driving Teslas on the road than the entire Uber Network has drivers. If Tesla acts quickly, in the beginning there could possibly be a shortage. But with so many cars on the streets, everyone rushing to sell at a premium, the used market will flood. The only way your car will be worth more than you paid is if Tesla limits this network to early adopters. But why would they do that and limit their own income stream? The only other way I see Teslas appreciating is through bankruptcy. A full halt to production would, in theory, raise resell values. The argument over whether or not your Tesla will become a collectors cars is up for debate. But one thing is for certain, if Tesla goes out of business after achieving full self-driving, your car is just about guaranteed to go up in value. For a short period, there will be no other manufactures with driverless cars. These Teslas can be used as income sources or even sold to the highest bidder. 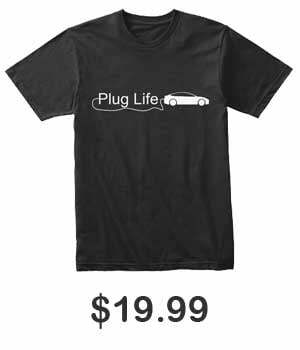 Without the availability of being able to purchase a brand new Tesla in just a week, your car will appreciate. But that is it. Without a shortage, you hold no value. Anyone can buy a brand new Tesla at any time and have it delivered in a couple weeks. There will never be a moment your used car is worth more than a new one unless this fact some how ceases to exist. Tesla values will move up. It is, in my opinion, the perfect time to buy a used Tesla. Currently, Teslas are evaluated just like any other car on the road. Sure, they already retain a decent value, but they still are compared within their vehicle class. With Tesla launching full self-driving, they are also launching a new class of vehicles. 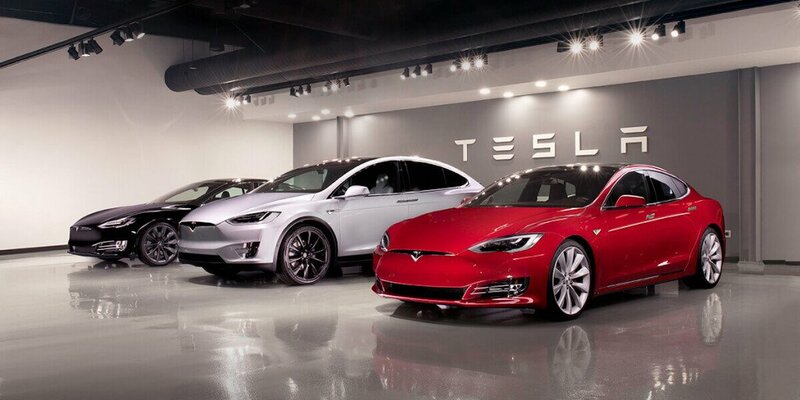 We have recently seen used Tesla prices crash and albeit deserved, but with, and when, Tesla is the only company actively producing vehicles that can drive themselves, they will create their own, new, market. Until others step in, full self-driving cars will indeed hold a premium. As Tesla’s technology advances, their resell values will move up. That is until the market is flooded by a heap if companies providing the same technology and service. But nonetheless, values will indeed start to move up along advancements. But they certainly will never reach higher than you paid. Not unless we hit hyperinflation or Tesla doubles the price of their cars. While your Tesla wont appreciate in value, it will appreciate in emotional value. With each and every over-the-air software update, your Tesla is improving. There are some mornings you will wake up and feel like you are in a brand new car. In the last year we have received a mess of new features such as Navigate on Autopilot, Advanced Summon, and even Atari games. But that personal experience and love for the vehicle wont extend into the resell market. Prices of vehicles and their options certainly affect your cars resell value. Increasing the cost for new customers also increases the cost for used customers assuming both vehicles provide the same features. Recently, we saw the used market take a hit after Tesla lowered the price of all of their cars. Since then, they increased them a few times, each affecting resell. Dependent on how high Tesla extends the cost of their Full Self-Driving package, some owners will indeed be holding onto appreciating assets. But this will only affect previous owners who purchased at a lower cost. I am still highly doubtful anyone will be able to get more than they paid for their Tesla in a world where Tesla is still producing cars. Based on Historic precedents you are of course correct , but in the emerging new automotive world order at the macro ,your theories become challengeable. Please try to step out of the current Silo that is Tesla and evaluate the wider EV market and the awful pain challenging the ICE incumbents. Generic Ev desire is approaching a tipping point. New Teslas are too expensive. Your fundamental economic Supply & Demand argument has been proven through History, but this is an energy revolution supported by ever growing consumer conscience and Moores Law. My 2nd hand 2015 Model S is now worth more than i paid for it in 2017 AND it is more feature rich from OTA upgrades in the context of range,power,speed, ignoring the Huge S/w application enhancements . New Paradigms are always inconceivable until they cease to be so, usually in recent history.